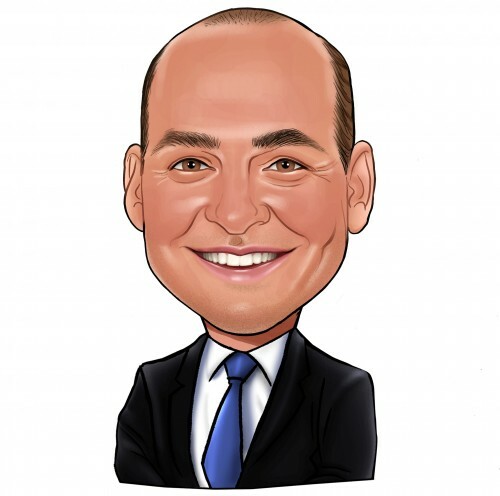 Is the Hedge Fund Sentiment Towards Xura Cooling Down? A new filing with the Securities and Exchange Commission has revealed that Jeffrey Bronchick‘s Cove Street Capital has reduced its stake in the cloud-based and in-network services enablement and monetization software solutions provider Xura Inc (NASDAQ:MESG). The investor reported holding 883,300 shares of Xura, equal to 3.5% of the outstanding stock, as compared to 1.17 million shares held earlier. Meanwhile, Xura changed its name from Comverse after the latter completed the acquisition of Acision at the beginning of August. Cove Street’s move comes as the stock has surged by over 27% in the last three months and may be seen as a signal to sell, taking into account that Bronchik more than doubled his stake in Comverse during the second quarter amid an overall bullish sentiment from the hedge fund industry. At Insider Monkey, we follow over 730 hedge funds and other skilled investors, because our research has shown that imitating some of their picks can help a retail investor generate market-beating returns. The hedge fund industry has lagged over the last couple of years due to its size (it is estimated that there is currently over $2 trillion held by hedge funds in assets under management), but this doesn’t mean that hedge fund managers have lost their touch in picking great stocks. Some of their underperformance comes from their short picks, which often lose money in a bull market, but are necessary for hedging strategies. By focusing entirely on hedge funds’ long positions, we determined that their most popular picks have performed much better compared to their overall returns. Moreover, the 15 most popular picks among the hedge funds we track, have been constantly beating the market, generating a cumulative return of 118% since August 2012, versus only 58% for the S&P 500 ETF (SPY). That’s why we believe emulating hedge funds can be a profitable strategy and have been sharing their top small-cap ideas among our subscribers for the last three years (see more details here). With this in mind, let’s take a closer look at Xura Inc (NASDAQ:MESG). The stock is down by nearly 5% in pre-market trading on Wednesday, which has offset entirely the gains from the Tuesday trading session. Overall, Xura Inc (NASDAQ:MESG)’s stock has appreciated by over 28% year-to-date, but the gains would have been even higher if the stock didn’t slump in mid-June after the company reported its financial results for the first quarter of 2015, which were significantly below the previous year’s results. The company announced that it would acquire Acision on the same day. Xura’s results for the second quarter were also worse in year-on-year terms, with revenue declining to $61.63 million from $74.99 million, although it reported a net profit of $7.40 per share versus a loss of $0.75 a year earlier. However, the increase in net income is mainly attributable to the profit from discontinued operations, which amounted to $7.95 per share in the second quarter. Before acquiring Acision, Comverse had sold its assets for the operation of its business support system to Amdocs. The deal, valued at $272 million, was signed at the end of April. Which Sectors Offer Breaks According to This Billionaire Investor? KCAP Financial Targeted by an Activist; What the Smart Money Thinks about the... Hedge Funds Say Just One of These Three Tuesday Movers is Worth Investing In... What Do Hedge Funds Think of These Three Surging Energy Stocks? Microsoft Live Event Touts Innovations In Tablets, Gaming, Wearables, More Hedge Funds Are Buying Shares of These Two Bio-tech Stocks; Should You?